Special Executive Magistrate. Govt. of Maharashtra. Goa Portuguesa’ is an exotic fun dining and a multiple award winning restobar serving Goan, Portuguese and Continental Vegetarian, Non-Vegetarian and Seafood delicacies. It has its presence since 03rd December 1988.The Awchats family share a passion for good food and they whole heartedly present this passion for everyone to enjoy. The Restobar serves a blend of Goan and Portuguese delicacies which are researched, modified, standardized and prepared by Master Chef Deepa Suhas Awchat by using modern day techniques, keeping in mind the health aspect of the guests while retaining the same original taste. 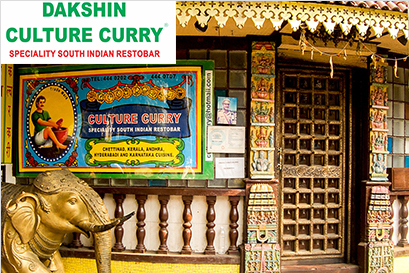 In addition to serving iconic Goan dishes such as Vindalho and Balchao, Goa Portuguesa offers a wide variety of traditional Hindu vegetarian preparations, thus dispelling the myth that Goans eat only Fish and Pork. 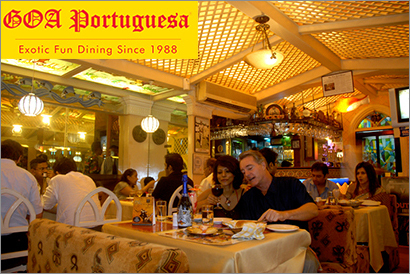 Goa Portuguesa offers Tax Free Dinning to their foodies. Parts of the profits donated to Muktangan Charitable Institute. Diva Maharashtracha was born to unfold the goodness of Maharashtrian cuisine that was unexplored and unheard of, and to take ahead the great legacy of Maharashtra that’s known for its rich culture, cuisine & customs. 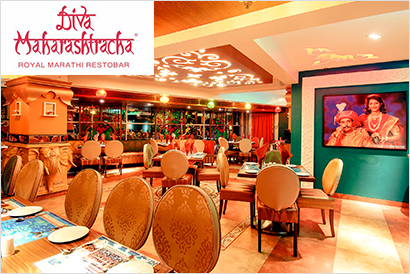 The authentic delicacies prepared from the well-knit traditional Maharashtrian communities like; CKP, Pathare Prabhu, Marathas, Saraswats, East Indians, Kolis, Bhandaris, Brahmins and so forth, make Diva Maharashtracha an outstanding restobar which representing the 12-crore people living in 35 districts of various regions like Vidharbha, Khandesh, Marathwada, Konkan, Pashimdesh and Mumbai traditional ambience & live music. Diva Maharashtracha is 1st and only ISO / MTDC certified restobar in India. Fill this up to connect.